Marking the 10th anniversary of Kiehl’s in Indonesia, the New York-based pharmacy and company has opened its biggest boutique in Asia-Pacific at Senayan City mall, Jakarta. The store presents modern elements and classic nods to New York, from the red bricks to the LED screen that features the Brooklyn Bridge. 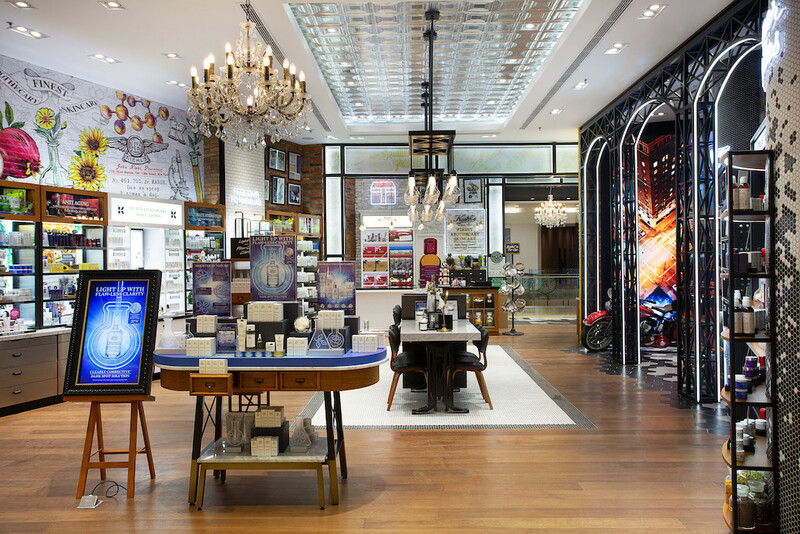 Caroline Foo, general manager of L’Oréal Luxe Division, which oversees Kiehl’s, said that the boutique offered the most personalized products and experiences within the 137-square meters store. “We work hard to remain alongside current innovations and to stay relevant,” said Foo in the store opening event on Thursday. “We will also collaborate with local artists in the future to make it more special,” she added. In its 10th year, Kiehl’s has 10 boutiques in 21 locations of Jakarta, Bandung, Surabaya, Medan and Bali, while the online store is also available. The company collaborated with UNESCO in an effort to conserve Borobudur temple in 2015 and is involved in orangutan conservation in Wehea, East Kalimantan. Founded as a single pharmacy in 1851, Kiehl’s is known to use naturally derived ingredients.